Our product range includes a wide range of h frame hydraulic press, workshop type hydraulic press, c frame hydraulic press, general purpose hydraulic press, hydraulic press and track link pin press. Blessed and supported by the team of high skilled and talented personnel, our company is considered as one of the leading provider of H Frame Hydraulic Press. These are manufactured from high grade raw materials and newest technology under the management and guidance of skilled professionals. Our esteemed patrons can purchase from us both automatic and semi-automatic machines as per their requirements. This hydraulic press is used for numerous applications such as power metallurgy, sheet metal working and for forging industry. With the constant support of our dexterous crew of professionals, we are engaged in offering Workshop Type Hydraulic Press. This product is extensively used in different industrial sectors including steel fabrication, automobile, sugarcane industry and many others. 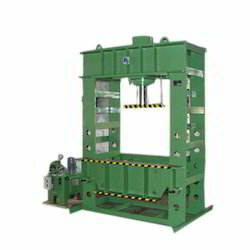 Known for attributes, such as high durability, low maintenance, industry-approved design and robust design, this effective hydraulic press is made available in different specification at reasonable prices. Available in standard and custom built models. With the assistance of highly advanced technology we offer high performance C Frame Hydraulic Press that is used for various purposes in the engineering sector. 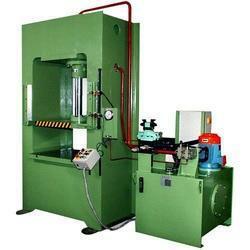 These hydraulic presses are extensively used for deep drawing, shearing, punching, trimming, riveting and bending of sheet metals. We employ ultra modern techniques and quality approved materials to manufacture these hydraulic presses at our state of the art machining facility. 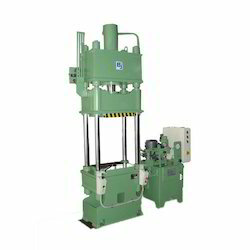 The hydraulic press can be easily operated and requires very minimal maintenance. 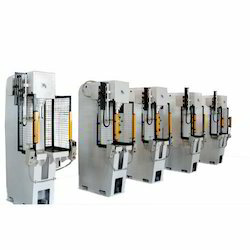 With rich industry experience and knowledge, we are engaged in offering a wide range of General Purpose Hydraulic Press. 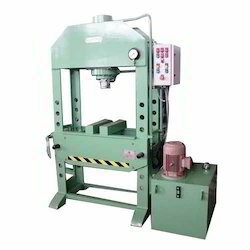 The offered hydraulic press is fabricated by a team of adroit professionals using high grade raw materials and latest technology in compliance with market prevalent norms. This hydraulic press is appreciated for its optimum performance, robust construction, dimensional accuracy and longer service life. It is available in different specifications as per the needs of the clients within the promised time frame. We have carved a niche in the industry by offering high performing Track Link Pin Press that is widely used for cutting and punching purposes in engineering, automobile and construction industries. It is manufactured with the utilization of latest technology and optimum quality components under the management of our deft professionals. This product is offered in different models as per the requirements of our clients. 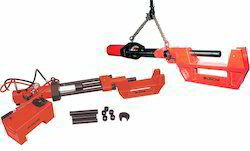 Offered track link pin press can be purchased from us at market-competent prices.